Till recently, the custom domain option was only available for the knowledge base. This is now available for the customer portal feature also. Once you enable the custom domain option for your account, you will have the choice to redirect the custom domain to either your customer portal, or one of your knowledge base sites. 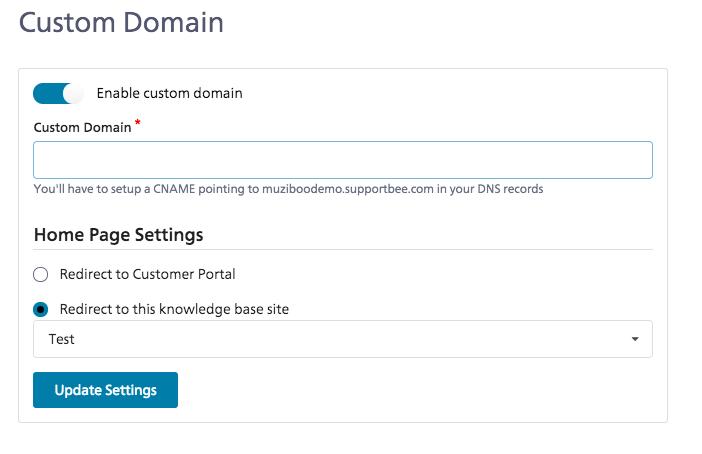 If you set up your custom domain support.mywebsite.com (for example) to point to your knowledge base site, your customer portal will automatically be available at support.mywebsite.com/portal/tickets.